Baby Sign ~ To sign or not to sign? In my opinion? Go ahead and sign. It doesn’t take much time or effort for moms, dads, grandparents, and siblings to learn 10-20 basic signs, and the benefits can be endless. For one thing, you can have a head start on helping your child communicate their wants and needs before speech development has caught up to their ideas. If your child ends up having language delays, you will have set the foundation for communication, regardless of their current developmental level. My daughter started using words, phrases and sentences fairly early for a child her age, so we relied less and less on the signs as time went on. However, I love that I can sign to her from across a busy and noisy room, and she gets the message! It’s like our own secret code. Our good friends also signed with their little boy, and he took to it, learning more signs and decreasing both a) the frustration he felt at not being able to speak his ideas, as well as b) the frustration his parents felt at not understanding what he wanted. 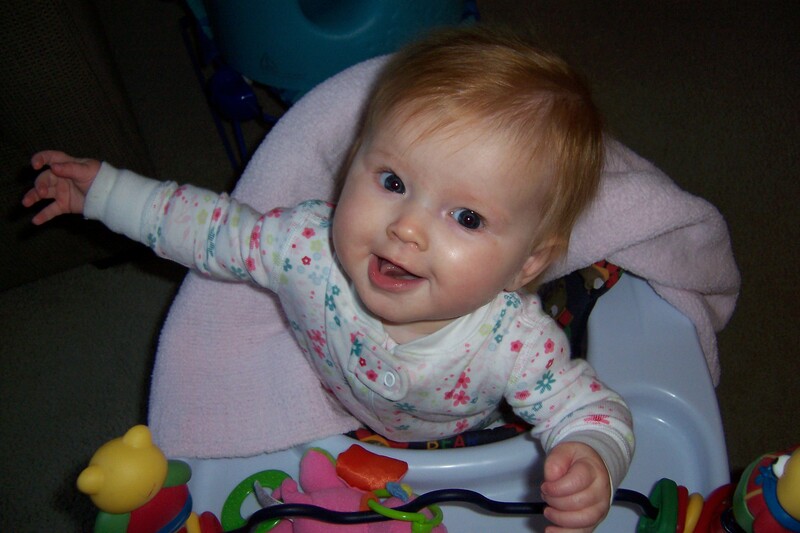 Baby sign language can ease frustration and give young children a way of expressing themselves. If your child goes on to be a late talker or has other developmental delays, the foundation built with sign language can bridge the communication gap. I like to do the signs close to my face, so my child can see what my mouth is doing. It also helps reinforce eye contact when we are communicating. Be consistent and use repetition. Teach siblings and grandparents your family signs. Be patient. It may be awhile before your child is able to sign back to you. However, if you start early, it will become second nature to you and them to sign when speaking. There are a lot of community classes where you can learn baby sign language. Check out your local community center or early childhood center. Or do an internet search for “American Sign Language” to learn the signs. A big “thank you” to my readers for being patient as I figure out this blogging thing! I appreciate all the positive feedback as I learn to share my ideas in this medium. You can now “subscribe” to my blog by email. Check out the top right hand corner of the page! Woo-hoo!